Jolly Heart Mate Canola Oil ambassador Chef Donita Rose happily shares her passion in cooking at the last stop of her Regional Festival Tour during the Sinulog Festival in Cebu. Celebrating through colorful dance rituals to recall the Filipino’s paganism and the recognition of their Christianity, Sinulog became one of the grandest and most renowned festival in the country, held every third Sunday of January. And to add more colors to the festival in Cebu, Jolly Heart Mate Canola Oil is proud to bring Chef Donita Rose for a live cooking demo show during the hype of the festival. 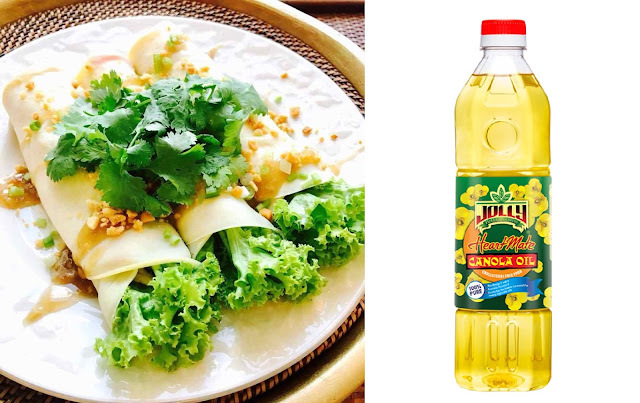 The celebrity chef, together with Jolly Heart Mate Canola Oil, is currently on a series of festival cooking demos around the country. And as part of the last leg of her nationwide tour, a cooking extravaganza at SM City Cebu Event Center was held recently. “The Cebuanos, really love to eat particularly during the week-long festival of Sinulog. Our culture is practically centered on food which brings families closer, so we should also be aware of how we prepare the food and what ingredients we use for the dishes that we serve,” said Donita.